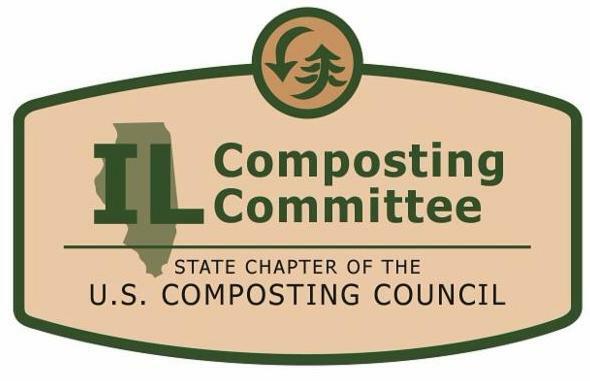 Illinois composters, in association with the Illinois Food Scrap Coalition (IFSC), have affiliated with the US Composting Council as an organizational committee to promote the compost manufacturing industry under the umbrella of the US Composting Council, the two groups announced today. The Illinois Composting Committee is now an official USCC Committee, sponsored by its parent organization, the Illinois Food Scrap Coalition. "We are excited to join the USCC and believe this alliance will assist Illinois continue to expand our organics diversion programs by utilizing USCC's expertise in policy, education, infrastructure and markets," said Walter Willis, Chair of the IFSC. Its sponsoring organization, the IFSC, was formed in 2012 originally as a group of solid waste agencies, counties, and community and government organizations dedicated to advancing food scrap composting in Illinois through program implementation, policy, and advocacy. The group now has about 140 active members representing a cross-section of public, non-profit and for-profit entities. The IFSC and USCC will jointly take positions on regulations and legislation that affect the industry and the market for compost in the state. "The USCC - and the compost industry - is working hard to build the infrastructure so that the entire country has access to organics collection. The energetic efforts by the IFSC make this a natural fit as the USCC works with Illinois compost advocates to move forward both collection and compost use in Illinois," said Frank Franciosi, executive director of the USCC. "Chapters like the Illinois Composting Committee are important because their leadership is directly in touch with the issues in their state and the members we work to serve, and we hope they will benefit from the national resources we make available." Illinois becomes the seventh regional chapter of the USCC. The industry is expanding due to increased efforts to remove food scraps from disposal along with traditional yard trimmings. The demand side of the industry is expanding with the growing recognition of the beneficial uses of compost. California, Minnesota, Colorado, Virginia and North Carolina are all USCC Charter chapters, and Composting Council committees are in Michigan and the Maryland-DC region. The US Composting Council, a national organization dedicated to the development, expansion and promotion of the compost manufacturing industry, was established in 1990 to encourage, support and perform compost related research. USCC promotes best management practices, establishes standards, educates professionals and the public about the benefits of compost manufacturing and compost utilization, and enhances compost product quality, and trains compost manufacturers and compost markets. USCC members include compost manufacturers, marketers, equipment manufacturers, product suppliers, academic institutions, public agencies, nonprofit groups and consulting/engineering firms.